It is easy to get confused about backwaters in Cochin and holidaying there. That is because many tour operators advertise Alappuzha houseboat tours as Cochin backwater tours. There are a few things that need to be very clear. Alappuzha (also Aleppy) is a town about 53 kms south of Cochin. When it comes to houseboats and backwater holidays, Alappuzha is the real deal. You can reach there from Cochin in one and a half hours. Being a major tourist destination, Alappuzha have plenty of resorts, home stays and hotels. So, if you are only after houseboat holidays, you can stay right there and get what you want. The huge lake that you see in Cochin and Alappuzha is one and the same. It is Lake Vembanad, one of the largest lakes in the sub continent. After flowing from Alappuzha, it joins the sea at Cochin. It would have been nice if there was the opportunity to take a boat from Cochin and travel all the way to Alappuza. Unfortunately, that is not possible. That is because of Thanneermukkam bund. At a place called Thanneermukkam, there is a huge bund (dyke) which entirely bocks the lake. The bund was built to prevent saline water entering in land. Tourists from Cochin are taken to Thanneermukkam by road. The travel is about 40 kms, which takes about an hour. At Thanneermukkam, tourists start their house boat tour. Obviously, the downside is the road travel, especially if you are on a day tour. 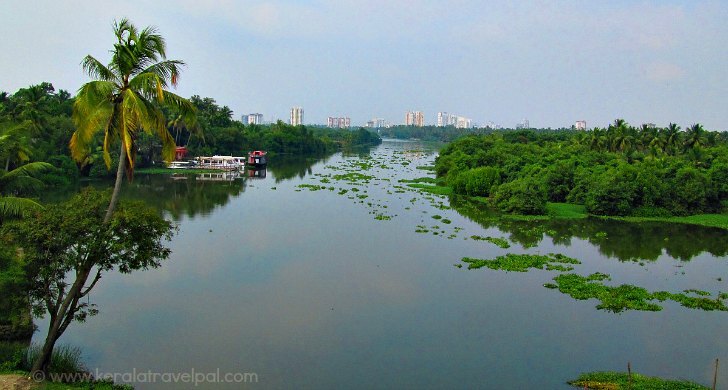 Now let us have a look at Cochin backwaters and what is possible to do without leaving town. Government owned KTDC (http://www.ktdc.com/tours.php) and private tour operators offer boat rides to tourist places within the city. Cochin harbour tours include locations such as Marine Drive, Chinese Fishing Nets, Bolgatty Island, Willington Island, Dutch Palace, Synagogue, St. Francis Church etc. Full day, half day and evening tours are available. An evening tour in Cochin backwater comes with the best sky line sights and cool breeze. Tour agents can also customise the trip for you. So tell them what you need, any they will come up with something. Ferries play a great role in Cochin life. That is because the city has many islands where people live and work. 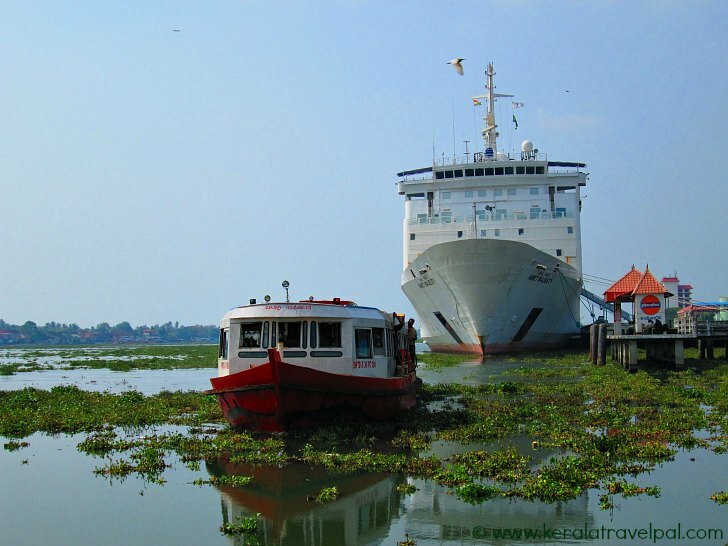 Tourist places like Bolgatty and Fort Kochi are connected by ferries. The place to take ferries is Marine Drive. There are two boat jetties – Ernakulam boat Jetty at the south and High Court Junction Boat Jetty at the north. Ferry rides are inexpensive. In some cases the best way to get around, such as the travel to Cherai. They are not just for budget travellers. A ferry ride or two will suit any one, if there is a bit spare time. Or you can travel to a few tourist attractions in ferry. If you are after a genuine tour operator try Peter of Carnival tours. Reviews about them are really great which you can read here. Are you after canoe rides in Alappuzha? Do you want to see rural life at its best? That is where Salmon tours come in to the picture. Have a look at these reviews from who travelled with them to see if that is what you are after.